Kick off your family's springtime adventures with a little time travel. 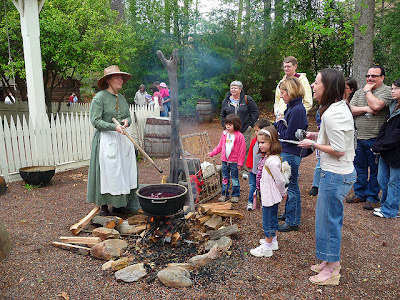 Blacksmithing, candle dipping, open-hearth cooking, and sheep shearing are just a few examples of fun and immersive activities at the Atlanta History Center's annual Sheep to Shawl festival on Saturday, April 14, 2012, 10:30 AM – 4:30 PM. The journey from sheep to shawl begins at Smith Family Farm, where you are transported to the 1860s to explore the lifestyle of a nineteenth-century Georgia farm. At the Smith Family Farm barnyard, learn the importance of shearing sheep’s wool each spring as you observe shearing demonstrations at 11:00 AM; 1:00, 2:00, and 3:00 PM. Children receive a handful of wool as a keepsake before taking part in a variety of entertaining hands-on activities and demonstrations that illustrate the process of wool being washed, sorted, carded, spun, dyed, and woven into a shawl – literally, from sheep to shawl. 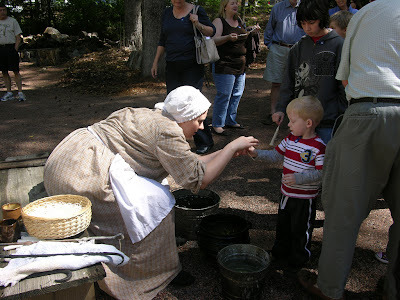 While at the farm, interact with a variety of costumed living history interpreters presenting authentic demonstrations of blacksmithing, pottery, candle dipping, woodworking, open-hearth cooking, and other crafts and chores. 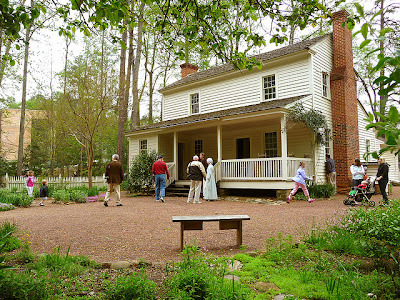 Listen to Southern folktales spun by Betty Ann Wylie and enjoy the sounds of traditional bluegrass with Cindy Musselwhite and Friends on the front porch of the Smith farmhouse. Take a guided tour of the Smith farmhouse and explore the living quarters of the Smith family. Most important, don’t forget to stop by the barnyard for the petting zoo. 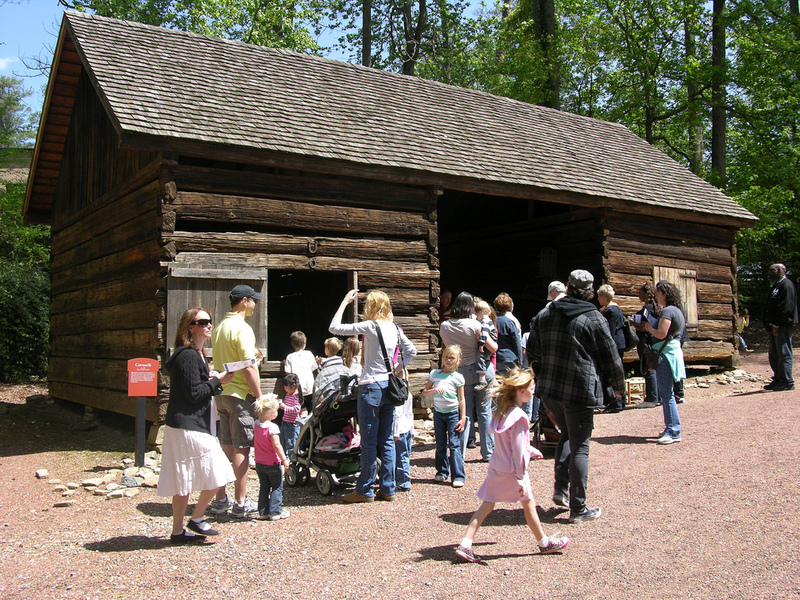 Steps away from the farm, enjoy guided tours of the Atlanta History Center's Historic Quarry Garden at 11:15 AM and 1:15 PM., and discover the beautiful springtime blooms and plant life in the state’s largest collection of native Georgia plants. At the Mable Dorn Reeder Amphitheatre at 11:30 AM, 1:30 and 3:30 PM visitors can enjoy a performance of Clay: Palm to Earth, the story of Dave Drake. Born enslaved in 1801, Drake – traditionally known as Dave the Potter – was taught to turn pots and learned to read and write, often signing much of his pottery and inscribing them with poems. After the performance, step inside the museum to admire the work of Dave the Potter on display in the Atlanta History Center's Southern folk arts exhibition, Shaping Traditions. Guided tours are available at 12:30 and 3:00 PM. 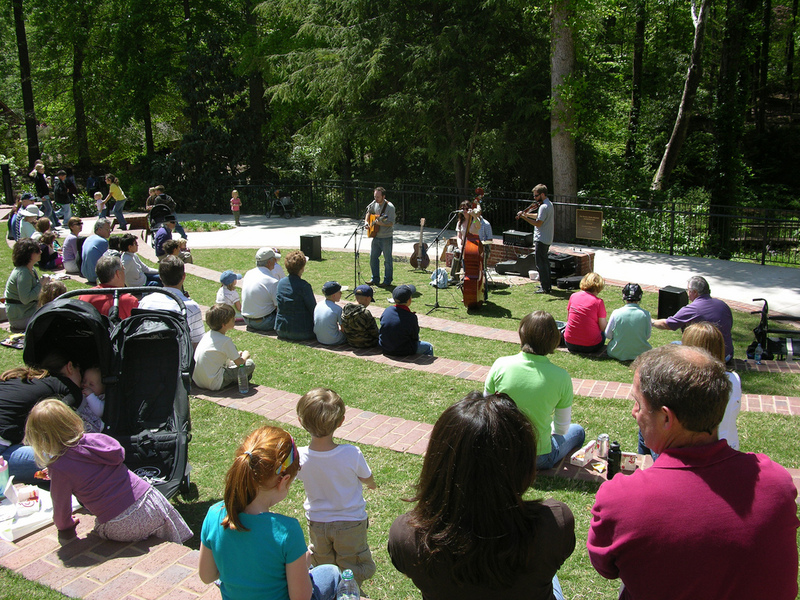 Hear musical performances by In Town Down Home Band in the Garden Overlook at 11:00 AM and 2:00 PM. Sheep to Shawl is sponsored by the Fulton County Board of Commissioners under the guidance of the Fulton County Arts Council and supported by the Poppy Garden Club. This special program is included with the price of general Atlanta History Center admission; free to members. For information call 404.814.4000 or visit www.AtlantaHistoryCenter.com/S2S. 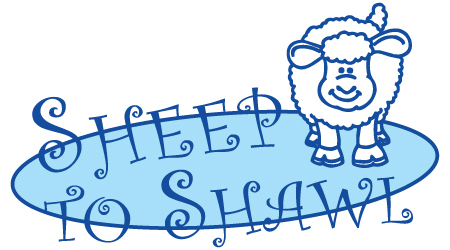 Girl Scouts can purchase a special Sheep to Shawl patch for participation in the day’s activities. For a group rate for Girl Scouts call 404.814.4062. The Bluebird Patch is giving away 2 family passes good for 2 adults and up to 4 children. To enter, just leave us a comment telling us what's your favorite thing about the Atlanta History Center on the section below. Best of luck!! Please note that we removed our Rafflecopter widget because some people were not able to comment. 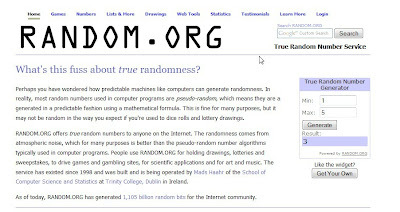 Please understand that unless I know who you are I am unable to contact you in case you are the winner. You need to leave us your email or twitter handle unless you have an active profile that can lead me to your blog, and email. If you want to submit your email privately you can always use or contact form http://www.thebluebirdpatch.com/p/contact.html. This giveaway ends on April 11, 2012 at 4pm. Drum roll please. 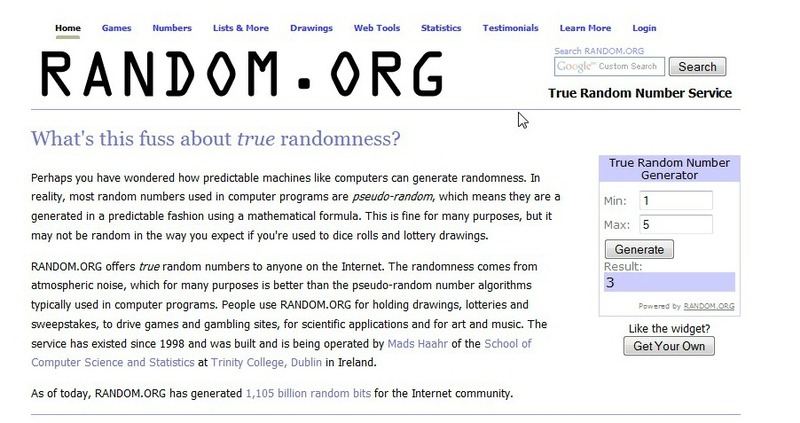 Our 2 winners are Bernice Brown and Kari Apted. Congratulations!! I will be contacting you via email. I'm new to Atlanta Ga and I've never been or heard of the Atlanta History Center. From what I've read on your posts, the sheep to shawl exhibit seems amazing being that I do crochet. The whole process would be wonderful to experience. Hmm. Is this house AT the History Center?? I've never heard of it, nor do I think I've even seen parts of it while driving past the AHC. Do you know if you can make pottery there, too? I think I'd loooove to do that, even without kids! Ooh, I would love tickets to this! We are a homeschooling family, so my favorite thing about the Atlanta History Center is how it brings history lessons to life! This sounds like a fun and interesting experience for the entire family! Would love to attend! I'd love to take my grandkids! I would just love to take my family to this! What a fun family day! Thank you all for participating in our giveaway. The contest is now closed. 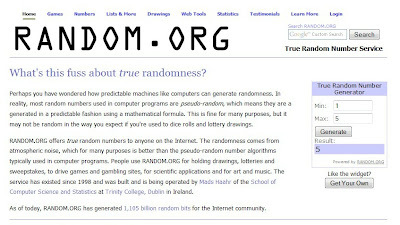 We will choose 2 random winners via random.org and will post their names shortly.